Merchandising is the process of getting the right merchandise to the right people in the right place at the right time. This process also ensures the delivery of the right quantity to the buyers. A person responsible for these functions is basically merchandiser. And there are 10 Qualities of a Good Merchandiser which make a merchandiser successful in his/her career. A person responsible for ensuring goods is in the right stores, or online at the right time and the right price. They analyze data to set selling prices and plan promotions and price reductions. In short, they maximize sales and profits whilst minimizing stock and costs. One of the common responsibilities of retail merchandising is helping visual merchandisers to make a plan of store layout. 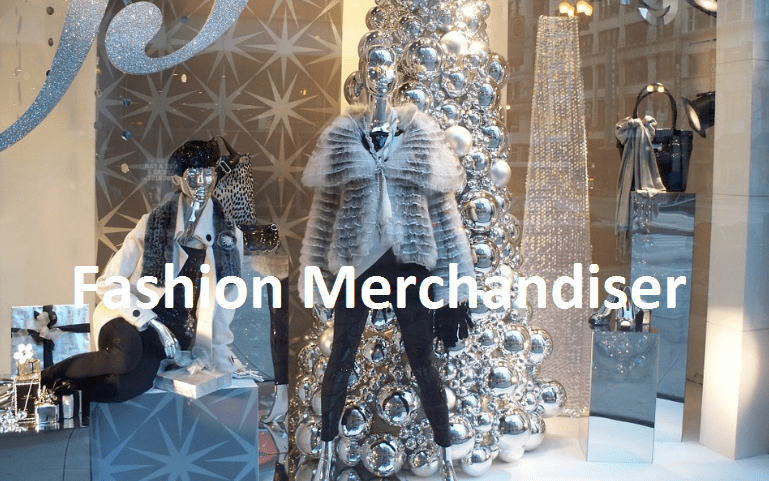 Fashion merchandiser works for buying and selling and promoting fashion items i.e clothing or other materials. The demand for fashion merchandisers is increasing because of increasing concern about fashion among people. The key role of fashion merchandise is to predict the future fashion trends to ensure delivery of fashionable products according to the needs of the society. 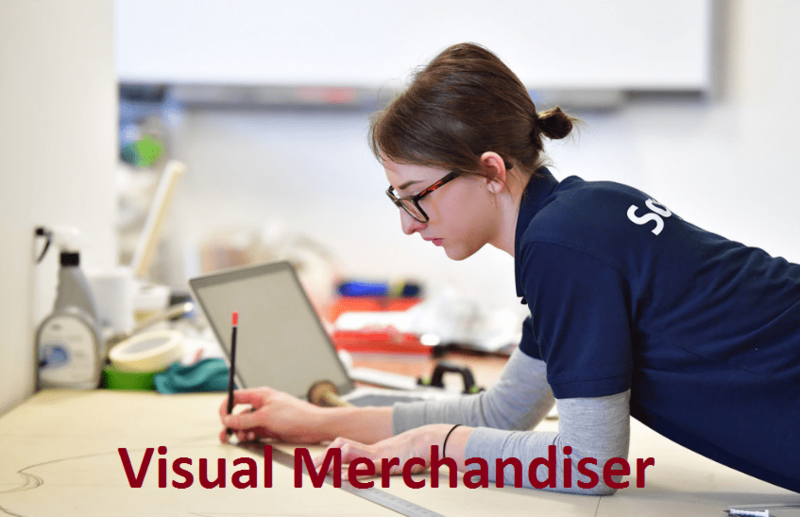 Visual merchandiser basically works for the purpose of setting a store layout and promote the business to maximize the sales of the company. Actually, a successful visual merchandiser helps to increase the sales of a product by attracting potential buyers through visual merchandising. Halo effect is the first impression a person creates for the others. A positive impression help to bring the outcome easily, but there is a huge negative effect of the negative impression. As a successful merchandiser, every merchandiser tries to create a good impression to their clients so that future dealings may become easy. As a merchandiser, you need to calculate several measurement and consumption which will help you to find the result easily and make a quick decision. Basic conversion factor must be known by the merchandisers. To improve these skills ones can practice more and more with a numerical digit. When dealing with clients sometimes merchandiser may require taking an important decision, this should be quick enough so that normal flow of conversion not interrupt. Thinking the power of a person helps to make a quick decision. This one is the most important skills of all types of merchandising jobs. Every merchandiser must have this communication skill because most of the time they need to contact the clients or suppliers. Merchandisers make communication directly or over the phone call. Now a day’s communication with clients around the world is easier because of easy access to the internet. Convincing power of a person added value to the personal skills if a merchandiser can convince then it would be possible to get the order from the customers. Merchandiser work in a large organization may require working in a team and the success of the team is depending on the cooperation and coordination among the group members. Those who can easily adapt to a group easily are getting extra support from the group members. In a merchandiser team, a group o people work for a particular objective that’s why they need to have the ability and intention to work in a team. Remember one thing; a team is more effective than a group. Analysis of the situation helps to identify future demand and supply of goods. If a merchandiser has a good analytical ability of trends then he will get some extra benefit. Every merchandiser must have adequate knowledge about the industry for which he is working. Lack of knowledge may lead to an unsuccessful contract with the buyers. Think about it, if you do not have any idea about your industry and your product then how you will manage your customer. As merchandising is very challenging job ones must have a clear concept of your own industry product and services. Now a day’s virtual media is one of the easiest ways to communicate with each other where computer holding the important part of it. Any kind of record keeping or forming database these technologies is used. For dealing with day to day office work computer is used by the merchandisers, this makes their job easier. So to become a qualified merchandiser you must have basic knowledge about how to deals with basic operation with the help of computer technology. Contacting buyers (foreign or local buyers). Visiting suppliers and manufacturers place to check the status of the factory. Negotiate with suppliers and buyers about the price of goods. Communicate with another department of the company to ensure the free flow of the activities. Forecasting about the future demand for the product and report to the supervisors. Sometimes they work directly or indirectly to promote the product by developing an advertisement campaign and deliver it to appropriate media. 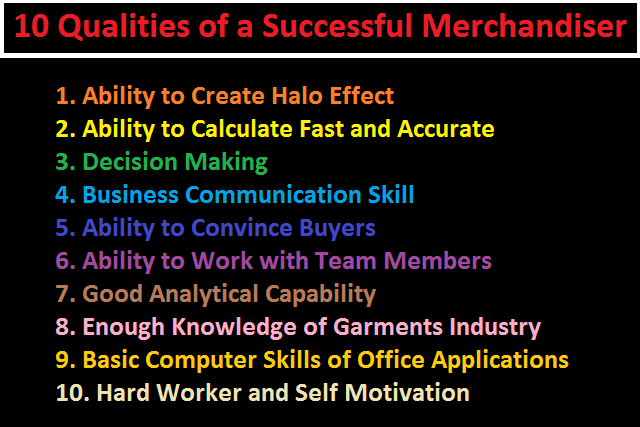 If a person really wants to be a merchandiser then he/she will be required to have all these qualities. All these qualities make their job easier with effectively. Tagged Ability to calculate, Ability to Convince, Ability to create halo effect, Ability to work in a team, Analytical Ability, Communication Skills, Computer skills, Fashion merchandiser, how to be a good merchandiser, how to be a good visual merchandiser, Knowledge of the Industry, Qualities of a Good Merchandiser, qualities of good merchandiser, Quick Decision making, Responsibilities of a Merchandiser, Retail merchandiser, Some common works or responsibilities of merchandiser are, Visual merchandiser, visual merchandising, what is visual merchandising.